Kaziranga: A rhino was shot dead and its horns taken away by poachers in Kaziranga National Park, taking the total number of rhinos being killed this year to nine, Park officials said today. The forest guards also found two .303 rifles and several rounds of ammunition from the spot, they said. A massive search operation with sniffer dogs has been launched in the area to nab the poachers, they said. 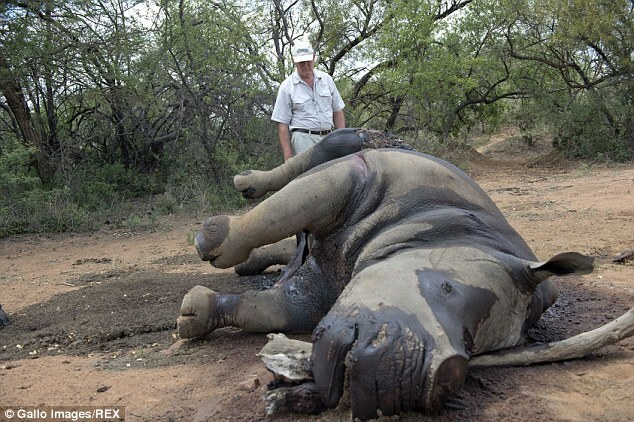 This is the ninth incident of rhino being killed in the Park since January this year. Meanwhile, a walkathon was organised by Kaziranga University in association with Assam government’s Forest department as a part of the campaign to stop poaching of one-horned rhinoceros. It was participated by Assamese cine star Nishita Goswami, Arjuna Awardee Arjun Bhogeswar Baruah, Guinness Book World Record Holder Abhijeet Baruah along with several people from school, colleges and sports persons. Also, forest guards found two .303 rifles from Bishwanath Bhola Chapori in Sonitpur district. The two rifles were found in the jungles near the northern bank of river Brahmaputra, a part of Kaziranga National Park’s sixth addition, forest officials said. The arms recovered today was suspected to have been used by poachers who killed a rhino and removed its horn in the Park’s western range, where two rifles and several rounds of ammunitions were already recovered. A massive search operation was on to nab the poachers who were suspected to have escaped to the northern side of the Park, sources added. For years NDTV has been bringing you the Save our Tigers campaign, an effort that’s gone a long way in protecting our national animal. Tonight, we focus on another desperate situation, the condition of another endangered animal – the great one horned rhino – which is being decimated in Assam by machine gun wielding poachers, who are taking advantage of the flood emergency in the state. A Thai man who organised illegal rhino poaching trips has been given the country’s strongest illegal wildlife sentence to date. A Thai national has been sentenced to 40 years’ imprisonment after pleading guilty to charges of exporting rhino horns from South Africa, in the country’s strongest illegal wildlife sentence to date. 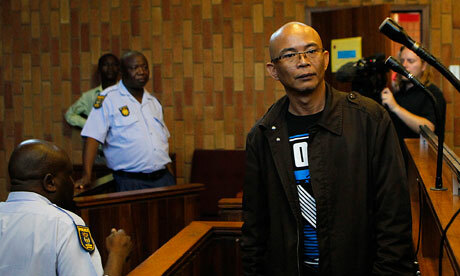 Chumlong Lemtongthai admitted to playing a large part in a scheme that used white rhino trophy hunts in South Africa as a cover for smuggling horns to black markets in Asia. He employed Asian nationals to pose as hunters and take part in organised hunts on game farms in the North West province. Charges against three South Africans and two others Asian nationals, the co-accused, were however dropped without explanation. 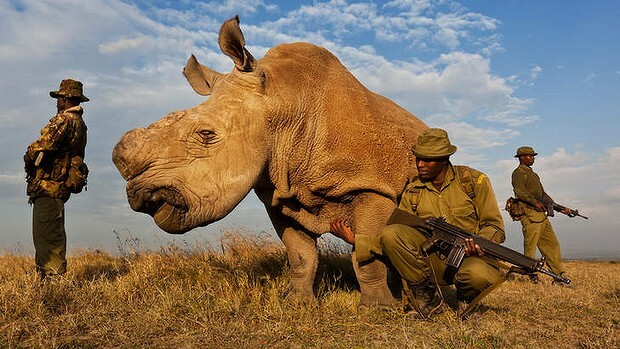 Areas of Asia, in particular Vietnam, have increased their demand for white rhino horn powder in recent years. Wrongly believed to enhance sexual performance, cure hangovers and even cancer, a growing wealthy class in Asian society have begun to pay more than ever for rhino horns. The result has been a rapid rise in rhino horn poaching in South Africa, culminating in a record rise in 2012, with more than 450 rhinos killed in the country this year already. 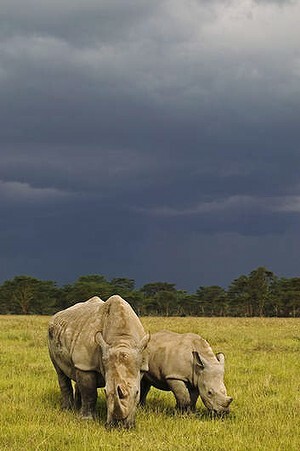 Around half of the poaching occurs in the Kruger national park, in the country’s north-west.